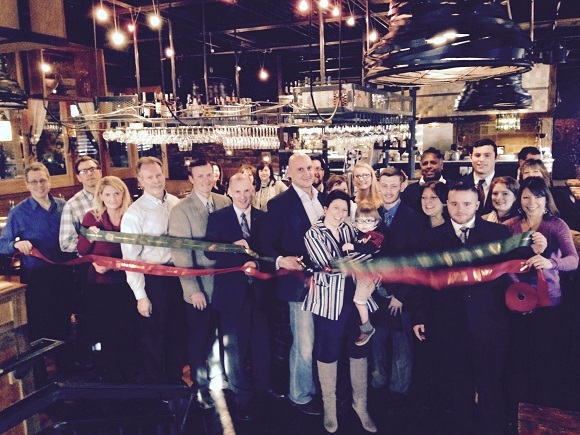 A ribbon cutting for Pasta Pane was held to celebrate new ownership. 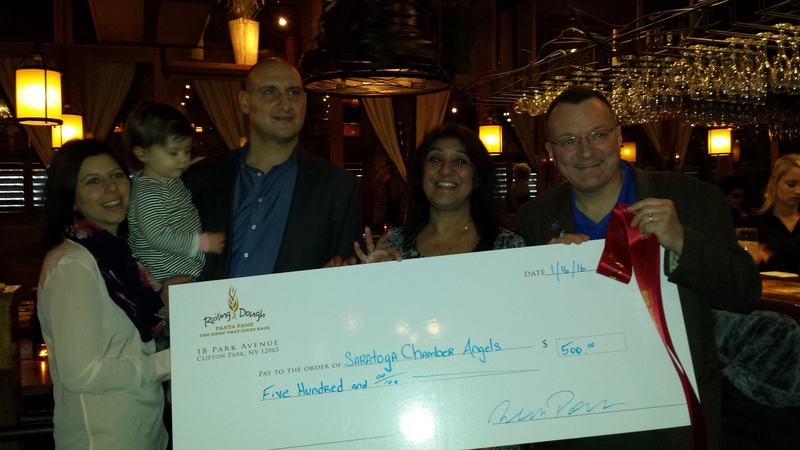 Longtime DZ Restaurants chef Nick Porreca, wife Nicole and their family celebrated their taking over ownership of Pasta Pane in Clifton Park (www.pastapane.com), with a “Raising Dough” donation of $500 to the Southern Saratoga County Chamber Angels. Chamber of Southern Saratoga County President/CEO Pete Bardunias and Vice President Nigar Hale were on hand to accept the donation, which will be used to help provide holiday cheer to young people during the holiday season. Although it’s a holiday gift program, the Angels toil all year to prepare to meet the needs of young people. Pasta Pane recently started a Sunday brunch menu, from 10AM to 2:30 PM, to go along with their popular menus and bar selections, and is considered one of the area’s finest Italian restaurants.